Lake Moomaw in the Alleghany Highlands / photo by Ellen Kanzinger. A huge thank you to this year’s contest sponsor, Pilot Cove! Over 50,000 votes poured into our 8th annual Top Adventure Towns Contest. From 55 adventure hubs across the Southeast and Mid-Atlantic, our readers narrowed down their choices to the top three: their favorite large town (population 85,000+), mid-sized town (population 8,500-85,000), and small town (population less than 8,500). Which towns were tops in 2018? Back in the day when the railroad was king, Clifton Forge, Va., was a major stop along the Chesapeake and Ohio line. When the maintenance yard moved out of state, jobs began disappearing from the area. But the town was blessed with a location the railroad could not take away. Clifton Forge sits along Interstate 64 in Alleghany County, a few miles from the West Virginia border. More than 50 percent of the county is national forest and public lands, offering adventurers of every kind plenty of space to explore the outdoors. Alleghany County, which also encompasses the town of Covington, had the potential to become an outdoor destination but lacked the amenities to capitalize on the location. “You can’t just have it and hope people will come. You have to create the infrastructure and get people here,” said Chad Williams, the director of parks and recreation for Alleghany County. In a small town like Clifton Forge, support from the community is vital to building up that foundation and bringing more visitors to the area. Michael Scales, a transplant from Virginia Beach, is on a mission to turn Clifton Forge into a top mountain biking destination. One of the very first races he competed in was the Middle Mountain Momma at Douthat State Park, one of the six original Virginia State Parks. After that first visit, he could not stay away. “I found that whenever I had a few days off, I’d shoot down here,” Scales said. He lived on the road for a few years, his bikes strapped to the back of his car, visiting when he could. When Scales finally decided to move to Clifton Forge, he wanted to bring other mountain bikers with him. Although he has only lived in town for two and a half years, he saw the future of Clifton Forge that first visit. When Scales is not working as the general manager at Jack Mason’s Tavern and Brewery, he is setting up travel accommodations for biking groups coming into the area and organizing volunteers to maintain overgrown trails. Ride CFVA is a manifestation of his plan to market Clifton Forge as a top mountain biking destination. Scales plans to offer guided tours, shuttle services, and mountain biking events as business grows. Like Scales, Martha Atherholt and Wendy Hudler moved to Clifton Forge after falling in love with the area. In 2009, they opened Jack Mason’s Tavern and expanded in 2017 to include Clifton Forge’s first brewery. 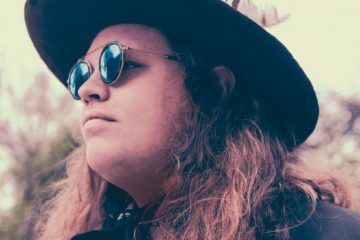 “It’s kind of fun to see how people have discovered it just like we did and see that small town coolness that you just don’t find in a lot of places anymore,” Atherholt said. They were used to the bustle of Phoenix, Ariz., and liked the change of pace. The county took advantage of its railroad history to construct the Jackson River Scenic Trail. When completed, the 16-mile trail will connect the town of Covington with Bath County. Built on an old C&O Railroad bed, the trail follows the Jackson River as it flows from Lake Moomaw. Twin brothers Dan and John Mays will be opening Alleghany Outdoors, the area’s only outfitter, at the southern-most trailhead for kayaking, tubing, and mountain bike rentals in April 2019. The push to expand outdoor recreation opportunities in the area extends beyond the public lands. More shops and restaurants have opened in downtown Clifton Forge, offering visitors a taste of the community. Stop at the roadside park to take in Humpback Bridge, the oldest bridge of its kind in the United States. Drive up Route 220 to see the 80-foot Falling Spring Falls, an Alleghany landmark. Sign up for the Jackson River Scenic Trail Marathon, a Boston Marathon qualifying event, in June. Mountain bikers should look out for the Gran Fondo Alleghany, which offers more than 100 miles of racing. See a show or movie at the newly restored Historic Masonic Theatre. If you have extra time, take a stained glass or blacksmith class at the Clifton Forge School of the Arts. Book a room at the Hill Crest Mansion Inn or The Red Lantern Inn for an immersive experience in the history of Clifton Forge. Reserve one of the many cabins or campsites at Douthat State Park to be close to the action. 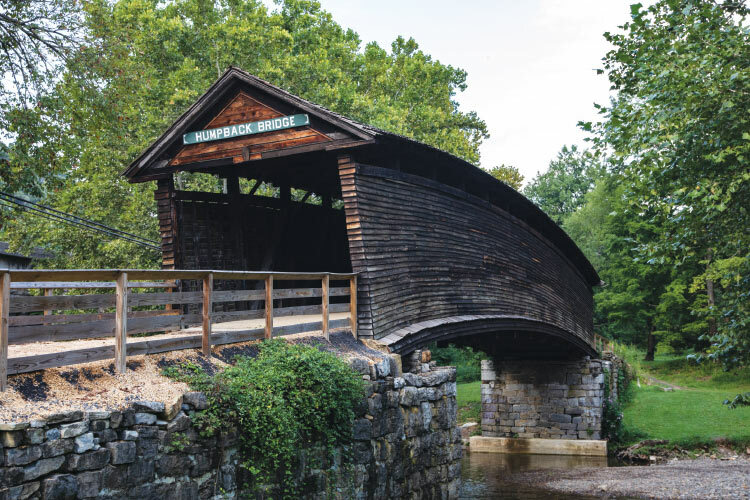 Abingdon, Va. may be a small town, but the opportunities for outdoor adventure are endless. Located in Southwest Virginia, Abingdon offers easy access to the Blue Ridge Mountains and beyond, including Roanoke, Va., Asheville, N.C., and Knoxville, Tenn. Although the mountains and rivers have always been there, Johnson City is a relatively new adventure town. Like many boom towns, Johnson City was once a meeting place for the railroads, musicians, and bootleggers. 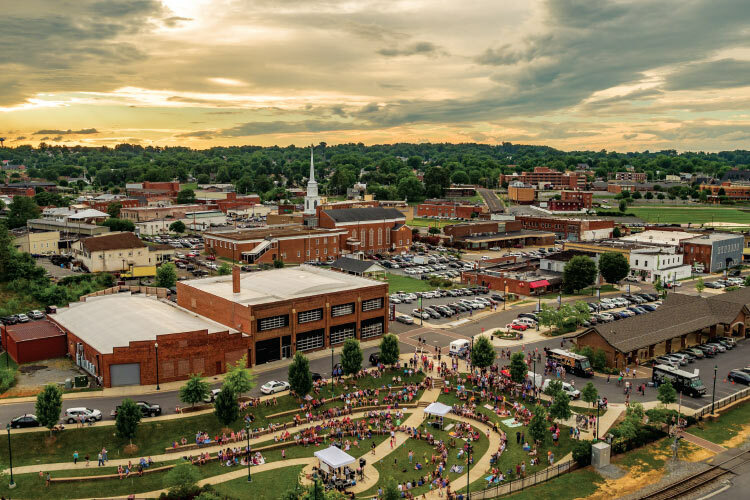 Johnson City has embraced outdoor recreation as an economic driver in the last five years, capitalizing on what the locals had always enjoyed but had not advertised to the rest of the world. Chad Wolfe moved from Chicago to Johnson City at a time when Trek bike stores were virtually nonexistent in the Southeast. He and his wife looked at Asheville, N.C., but the market there was already saturated with other bike shops. Johnson City was not really on the map as an outdoor destination and Wolfe wanted to be at the forefront of an emerging cycling community. To engage the local community, Wolfe started with the Taco Trek. Four years later, hundreds of riders come out for the 30-minute bike ride from the Trek store to Holy Taco and Cantina. Capitalizing on that success, Wolfe started a second group ride every other Saturday morning, fittingly titled Bikin’ and Eggs. Since Wolfe moved five years ago, the city has opened four new parks. In 2015, the city completed the 10-mile Tweetsie Trail without any federal or state funding. A state study predicted the project would cost six million dollars. Johnson City turned the old rail line into a multipurpose trail for a third of that cost through private funding and donations. On any given day, you will find dozens of runners, bikers, and those just enjoying the scenery on the trail connecting Johnson City and Elizabethton. The success of Tweetsie Trail demonstrated how much the community was behind this kind of project. Tannery Knobs, the town’s most recent city park, is almost ready to open to the public. This bike skill park is designed for riders of all abilities, featuring multiple green, blue, and black level trails as designated by the International Mountain Biking Association (IMBA). Johnson City also received a grant from the State of Tennessee to put in a pump track at the top of the mountain. The track is designed to help kids and beginners get used to the feel of mountain biking. The project came together in about a year and a half, largely due to the volunteers who helped shape the park. “We would have anywhere from 50 to 75 people out there helping dig the trails,” said Jacob Grieb. Grieb, a co-owner of Atlantic Ale House in downtown Johnson City, was on the original committee tasked with planning Tannery Knobs. Beyond what is available immediately in Johnson City, visitors can access world renowned hiking trails, whitewater, and fishing. The Appalachian Trail, Nolichucky River, and Watauga Lake are all within a 30-minute drive from the downtown. 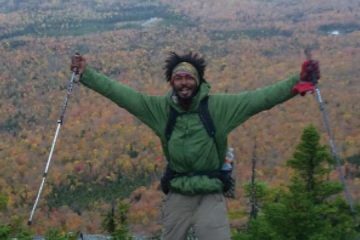 In March of 2018, Scott Fisher opened one of the first comprehensive outdoor schools in the region. The Nolichucky Outdoor Learning Institute (NOLI) offers a wide range of instructional classes, including whitewater and flatwater kayaking, wilderness first aid, conservation, and outdoor arts right on the river. Although NOLI has only been operational for two months, they have already offered 25 classes for beginners through advanced adventurers. “This is a beautiful location with immediate access to world-class outdoor areas with some of the best resources,” Fisher said. It is only a ten-minute drive from downtown to Buffalo Mountain, a city park that offers a 360-degree view of the town below. There are almost two dozen waterfalls to visit within a 25-mile radius of Johnson City. In August, Johnson City hosted the first annual Meet the Mountains Festival. People of all ages were invited to test their bike skills, navigate the ropes course, or demo paddle boarding at Founders Park. At 15 other sites around the region, visitors participated in sunset and sunrise hikes, disc golf, and trial runs at Tannery Knobs. At the active Gray Fossil Site, paleontologists uncovered the fossils of a saber-tooth cat, alligator, and a mastodon. The International Storytelling Center celebrates the power and tradition of stories as the host of the first national storytelling festival. Stay at the Carnegie Hotel for easy access to all of the restaurants and shops downtown. Set up your camp away from the city lights at Roan Mountain State Park. Spend the day hiking through the Allegheny Mountains or on the waters of the Potomac before unwinding in downtown Cumberland, Md. Explore all the history and scenery that this town has to offer. 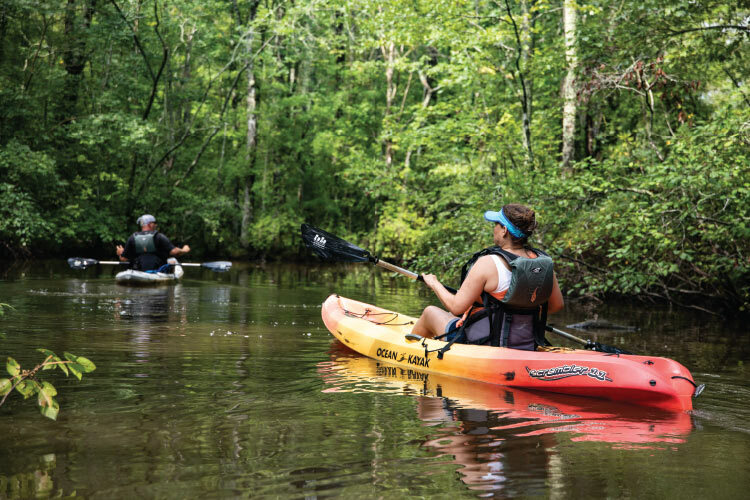 Chesapeake, Va. may not be a mountainous town, but its extensive waterway and trail systems offer opportunities for adventurers of all abilities to explore a city rooted in history. For a long time, Chesapeake’s neighbors, Virginia Beach and Norfolk, overshadowed what the city had to offer. When Kim Murden was brought on as the Chesapeake Tourism Manager in the early 2000s, one of her responsibilities was to market the city’s outdoor recreation opportunities. Murden said the city focused on “improving upon what was here naturally.” This meant adding water access points that are ADA compliant and walking trails around the city. For adventurers looking for a coastal destination with fewer crowds, Chesapeake has plenty of miles to explore. Kevin Fonda has been leading custom kayak and SUP tours in eastern Virginia and North Carolina for eight years but has been paddling the waterways since he was a teenager. He called the Great Dismal Swamp and Northwest River Natural Area Preserve some of the top paddling on the east coast. 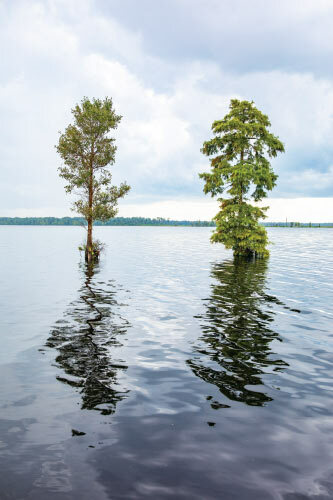 At one time, the Great Dismal Swamp covered more than a million acres across what is Virginia and North Carolina today. Over time, agriculture and business ate into the swamp. The 112,000 acres that remain are protected as a National Wildlife Refuge. The refuge and preserve are two of the only places in eastern Virginia with dark skies. Deloras Freeman has worked at the refuge for 18 years. As the visitor services specialist, she is in charge of environmental education and special events at the swamp. She said that the Birding Celebration in early spring never fails to attract bird-watchers. “We have visitors that come from all over the United States and out of the country to see the Swainson’s warbler,” Freeman said. The swamp is one of the best places to see this rare species because they nest in such large numbers. The swamp was once home to more than the wildlife. In the last few decades, historians and archaeologists started extensive research into the people who found refuge from their oppressors in the swamp. Indigenous people driven off their land in the early colonial period took to the swamp they knew. Later, slaves sought protection in the dense forest as they made their way north along the Underground Railroad. The water acted as a moat around the islands scattered throughout the swamp and helped cloak their escape. The water in the swamp provided a source of drinking water. Tannic acid from the bald cypress forests seeps out and purifies the water of bacteria and algae. Visitors can explore the swamp by foot or bike on one of the many trails running through the refuge. Cars towing boats can access Lake Drummond, one of Virginia’s two natural lakes, in the middle of the swamp through the Interior Ditch. Above the city, the South Norfolk Jordan (SNJ) Bridge offers a unique urban adventure and aerial view of the city. The bridge crosses the Elizabeth River, connecting Chesapeake and Portsmouth. Dubbed the “Brooklyn Bridge of the South,” the SNJ Bridge is taller than the New York landmark at 169 feet above water. Beneath the bridge, the Elizabeth River Park offers water access and a pier that does not require a fishing license. Kayak or canoe along the eastern edge of the refuge through the Dismal Swamp Canal. If you are feeling adventurous, spend the night at the campsite near Lake Drummond. Travelers over 21 should check out Big Ugly Brewing, named for the owner’s 1955 Chevy. In Paddle for the Border, join more than 300 paddlers on the water as you cross from North Carolina into Virginia on the Dismal Swamp Canal. Foodies should travel in October to check out the Great American Food Fest or the Dismal Swamp Art Festival. Starting in Spring 2019, visitors can learn about the Battle of Great Bridge at the Great Bridge Battlefield and Waterways History Museum. Stop by 3 Little Black Birds for some vintage, repurposed, and handcrafted shopping. With more than 40 hotels, you are sure to find a place to stay in Chesapeake. Camp on the bank of the river at the Northwest River Park and Campground. The Blue Ridge Mountains in the East Coast’s Mountain Biking Capital have something for everyone. 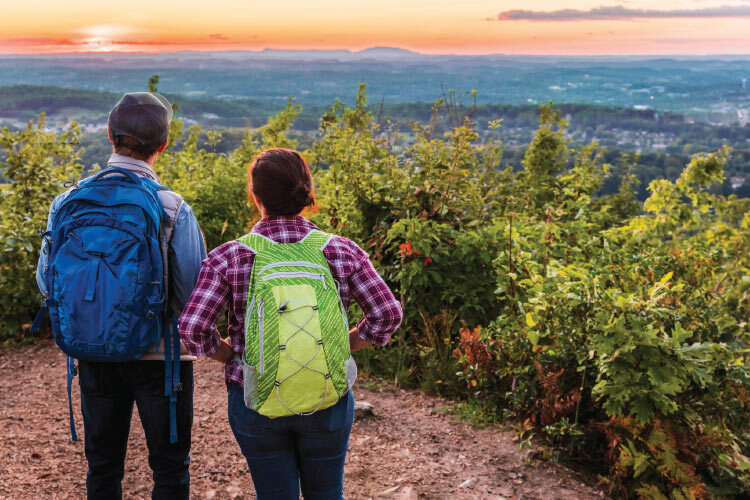 Roanoke, Va. is the perfect place to test your endurance and skill as you hike, bike, or climb above the Roanoke Valley.